Use your season pass online. Represent your Club online in multiplayer events or tours. Play online multiplayer and compete in challenges. Compete in leader boards, or share stats and player progress. Use your season pass on all single player and offline modes. Continue to play all game (DC, DC VR and DC Bikes) and DLC single player functionality in offline mode. 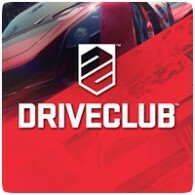 Earn trophies in single player / offline mode. Fans have just under a year to make the most of the game before the online component is disabled. All the game’s DLC and season passes will be removed from sale on 31st August 2019.